Generally speaking, it’s better to wind up facing a 1st offense DUI in a Macomb County district court rather than anywhere else. There are 9 district courts in Macomb: The 37th district court in Warren, the 38th district court in Eastpointe, the 39th district court in Roseville, the 40th district court in St. Clair Shores, the 41-A1 (Sterling) district court in Sterling Heights, the 41-A2 (Shelby) district court in Shelby Township, the 41-B district court in Clinton Township, the 42nd Division 1 district court in Romeo, and the 42nd Division 2 district court in New Baltimore. As a group, these courts handle the cases for every municipality in Macomb County. In this article I will examine why, even if you’ve been unlucky enough to be arrested for an OWI charge, it’s at least a bit of good fortune if your case is in a Macomb County district court. 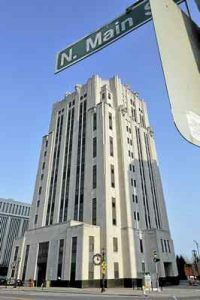 Even though what we know as the Metro-Detroit area is comprised of 3 adjacent and closely connected counties, (the “Tri-County area” of Wayne, Oakland and Macomb), each one, at least as far as court systems go, can kind of be like its own separate country, and those broader differences filter down into all of the district courts within their respective borders. I trust the reader understands that, as a Michigan DUI lawyer who practices exclusively in the Tri-County area, I’m not going to rip any court, nor make any specific and unflattering comparisons between one court and another. However, I can explain this almost as clearly by outlining a few key factors that show why, at least for the person facing the DUI, having it in one of the district courts mentioned above is real break. To be sure, there are plenty of times when someone charged with OWI or OWI with a BAC of .17 or greater (High BAC) will end up with a more lenient outcome from some court in Wayne or even Oakland County, but there are also plenty of times when that won’t be the case. Thus, one of the defining attributes of the Macomb County district courts is a general consistency to what happens to DUI drivers. The focus of this article is on what happens to you in a DUI case, and in that sense, you’d have to be nuts to want ANYTHING other than the most lenient outcome possible. If I had to go through the DUI process, I’d want my case to be heard by the nicest and most sympathetic Judge out there; I’d hope the case could be dismissed, or, if not, that I’d get the best plea deal possible, and wind up with the least amount of penalties, as well. Nobody would choose more punishment over less punishment, or having to pay more fines and costs rather than less, right? Let’s start, then, with some really good news: you aren’t going to jail in a 1st offense OWI in Macomb County. Even with a High BAC charge, jail isn’t on the menu. When I meet with a new client and I state this so matter-of-factly, I usually have to repeat myself, and explain it a little because many people get all worked up about getting locked up, even though it’s simply not going to happen. It’s understandable that everyone’s deepest fear is going to jail, but we can end all that stress right here – you’re not going to jail. That said, there are plenty of other things that could, might and, indeed, will happen, so our time is better spent looking at them in the context of a 1st offense DUI case brought in a Macomb County district court. Let’s start with the big stuff. It is pretty well known that, of the 3 Metro-Detroit counties, Oakland is the toughest. In terms of DUI cases, that’s generally true. There is a broad misapprehension, however, that Wayne County is the most lenient on drunk drivers. While most courts and Judges in Wayne County are wonderful, there are a few “rough spots” that simply don’t exist in Macomb County. In other words, although it is very possible, on one hand, to get the some of the most lenient treatment for a 1st offense drunk driving in one Wayne or Oakland County district court, it’s also possible, on the other hand, to end up with a “tougher” outcome from some courts there, as well, even more so than you would in any Macomb or even Oakland County district court. This is why the consistency of Macomb County is so awesome. With the single possible exception of one Judge in one Oakland County district court, there is no risk of going to jail in a 1st offense DUI case anywhere. I say this so we can shift our concern to what matters; managing those consequences that are possible, those that are likely and, ultimately, those that are certain, in your DUI case. Therefore, at least in this article, when I speak of “tougher” versus “more lenient,” I mean less non-jail types of consequences. I mean, in essence, less punishment. One of the key reasons I can write this article is because of my day-in, day-out experience in all the Tri-County area courts over the last 27 years. It may sound harsh, but either you’re paying a lawyer for his or her experience, or you’re paying his or her tuition. I say this because long ago, I thought it important to limit my DUI practice to the local area, rather than taking every case no matter where it is in Michigan. I believed that in the long run, going to some distant court once or twice in a career wouldn’t provide the same kind of usable experience that I actually acquired by going to the same courts time and time again, and I was right. Now, although I have no clue about what some Judge does to 1st offenders up north, I can tell my client’s exactly what’s going to happen in a local court like Shelby Township or New Baltimore. 1. Understanding probationary terms. For example, a standard term of every probation is that you cannot leave the state without the court’s permission. Some Judges make people jump through hoops to do so, others deny travel for non-essential work-related things and won’t even think about letting someone go on vacation, no matter how long it’s been planned (and paid for). That NEVER happens in Macomb County, in any court. Also, the Judges here are reasonable across the board with things like alcohol and/or drug testing. 2. Fewer overnight alcohol education programs. Chances are far higher that if you pick up a DUI in Wayne or Oakland County, part of your sentence will involve an overnight education program somewhere. By contrast, that rarely happens in Macomb County, and if it does, it’s not some 4-day, 3-night pain-in-the-a$$ thing. 3. No crazy AA requirements. Not long ago, I handled a probation violation case (NOT in Macomb County) for someone who had not been my client for their original DUI. Even though it was this person’s 1st offense ever, of any kind, the Judge required attendance at AA every day. That’s 7 days a week, for 18 months. That’s also flippin’ crazy, and sure to backfire. 4. Reasonable length of probation. Earlier this week, I left a Wayne County court after my client had been sentenced to 6 months of non-reporting probation in a 1st offense DUI case (he had originally been charged with High BAC, but I negotiated that down to Impaired Driving). That was a phenomenal outcome, to be sure; by contrast, that same person could very well have wound up with 18 months of reporting probation elsewhere. The district Judges in Macomb never go for those overly long probationary stints, and I have walked many a client out with either no probation or a short term of non-reporting probation. 5. No community service. Well, almost, but whereas most courts in Wayne and Oakland County have some kind of community service requirement for DUI offenders, most Macomb County courts do not. Although community service is not the worst thing you can do, it’s never fun, either. 6. Decent Judges. Even though it’s kind of implied by this article as a whole, it is perhaps the best thing about the Macomb County district court that all the Judges are decent. Of course, there are some really great Judges in Oakland and Wayne Counties, as well – indeed, some of the very best – but the simple fact is that Macomb County has the most even-tempered palette of down-to-earth, understanding Judges, without a single “difficult” one within the group. 7. Decent probation officers. The most diplomatic way to put this is that NONE of the worst probation departments are in Macomb County. I can’t get any more specific than that. If you’re getting the idea that, under certain circumstances, it’s possible to walk out of a Wayne or Oakland County court having been treated more leniently than you would somewhere in Macomb, you’re right. The point here, though, is that you will never walk out of any Macomb County district court having been pounded as hard as you could be in the other counties. At the end of the day, the consistency of decency and fairness in the Macomb County district courts is an advantage, and if you have to go through the DUI process, you need every break you can get. If you are facing a DUI anywhere in the greater Detroit area of Macomb, Oakland or Wayne County, do your homework, read as much as you can, and then ask questions. In my office, all consultations are done over the phone, right when you call. We’re here to help, Monday through Friday, from 8:30 a.m. until 5:00 p.m., and can be reached at 586-465-1980.